Twinlock vs. Triplock: What’s the Difference and Does it Really Matter on a Rolex Watch? If you’re at all familiar with Rolex watches, you will have no doubt noticed that the brand has its own language. Rolesor for two-tone, Cosmograph for chronograph, Everose for rose gold, Cerachrom for ceramic, and so on. But what about Twinlock and Triplock? What do these terms mean, how are they different, and why does it matter? Fundamental to the Rolex USP is the waterproofness of their watches. 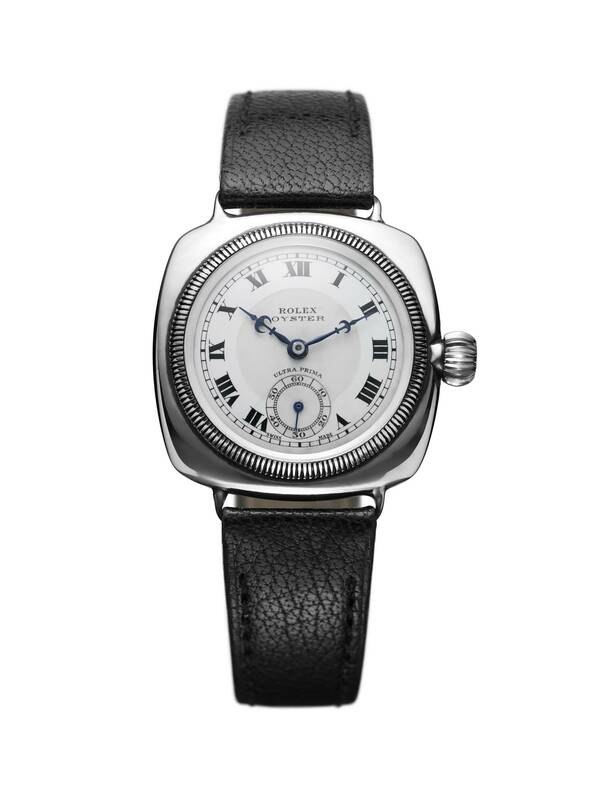 As you may already know, Rolex presented the world’s first waterproof watch in 1926, which the company called the Oyster. The Oyster case’s ability to prevent water from leaking into the movement was thanks in part to its screw-down winding crown. The Rolex-patented waterproof crown included a crown fitted with a metal gasket that would screw into a tube inside the watch case. This mechanism allowed the compressed gasket to form a watertight barrier. The screw-down winding crown worked for the next few decades on following Rolex watches until the introduction of the Rolex Submariner in 1953. Since the Submariner was built as a dive watch, Rolex needed to amp up its water resistance. And to do this, Rolex invented the Twinlock winding crown with two O-ring gaskets made from synthetic materials rather than the previous single metal gasket. This essentially creates two sealed zones. 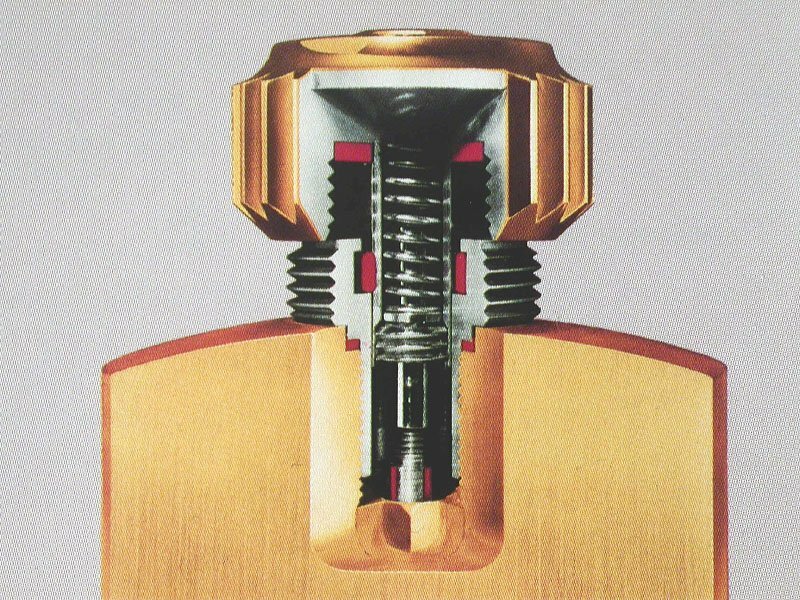 Similar to the principle of the first screw-down crown, the Twinlock system included one O-ring gasket under the crown to push against the case to create a wall against outside moisture. However, the second O-ring gasket (hence the “Twin”) was located inside the tube surrounding the winding stem to keep the water out even when the crown was unscrewed. The Twinlock winding crown is now used on a number of Rolex watches and is marked with two dots under the coronet on gold models, one dot for platinum models, and a bar on steel models. However, these markings are only relevant to current Rolex models. Older Rolex models had a bar for yellow gold as well as steel models and two dots for white gold ones. In 1970, Rolex released a third generation winding crown they called Triplock. As its name suggests, the Triplock version features three sealed zones and it made its debut on the Sea-Dweller dive watch. Two of the O-ring gaskets are positioned within the tube, while the third remains under the winding crown. Less than a decade later in 1977, Rolex furnished the Submariner collection with the Triplock winding crown and today all Rolex dive watches (Submariner, Sea-Dweller, and Deepsea) include this feature. The water resistance of the Submariner is 300 meters, the Sea-Dweller is 1,220 meters, and the Deepsea is 3,900 meters. Triplock winding crowns are marked with three dots under the Rolex coronet. Steel models have three equally sized dots, gold models have a larger center dot, and platinum models have a smaller center dot. Aside from dive watches, Rolex also uses the Triplock winding crown on a few other Professional models. For instance, Rolex produced the last references of the manual-wound Daytona (ref. 6263 and 6265) first with the Twinlock winding crown and then replaced them with the Triplock winding crown. As a result, all automatic Daytona watches that came after were fitted with the Triplock crown. 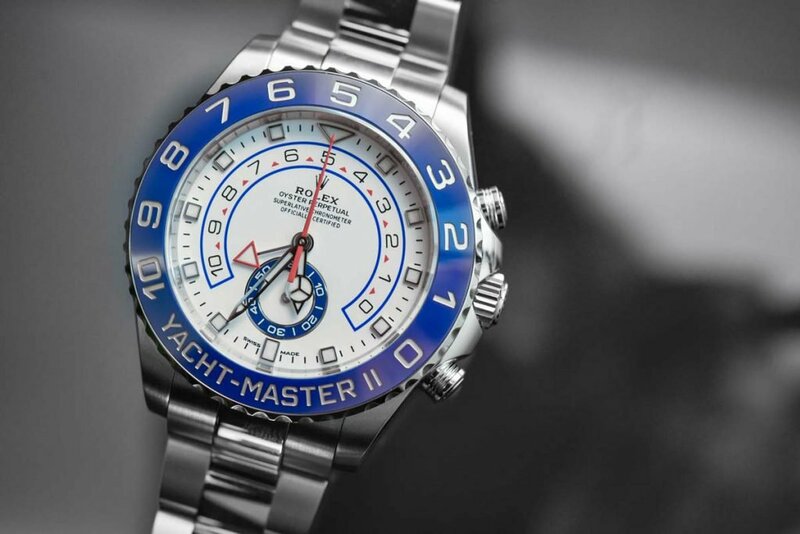 Similarly, when Rolex launched the new GMT-Master II models with ceramic bezels in 2007, Triplock crowns were also included, replacing the preceding Twinlock crowns. Yacht-Master 40 and Yacht-Master II models are also furnished with the Triplock system. While the Daytona, GMT-Master II, and Yacht-Master I/II watches only have a water resistance rating of 100 meters, the larger Triplock winding crowns are more proportional to their designs than a Twinlock would be. The remainder of the Rolex models—Datejust, Day-Date, Oyster Perpetual, Sky-Dweller, Milgauss, Explorer I/II, and so on—have Twinlock winding crowns. 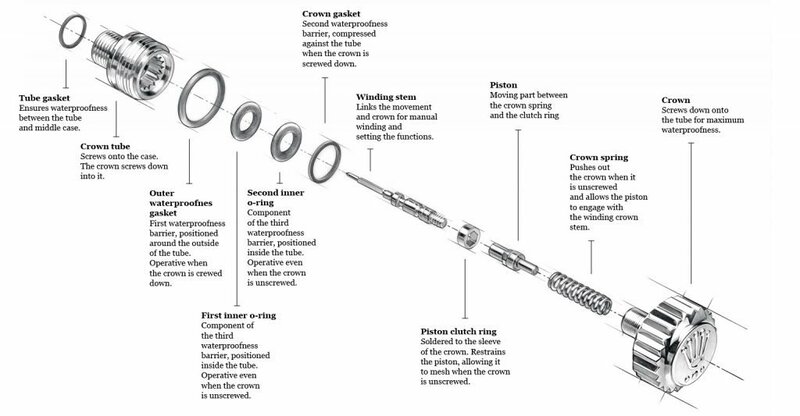 The next time you use the winding crown to adjust the time or date on your Rolex watch, you’ll understand a little more about all the research and development that went into this small yet mighty device.